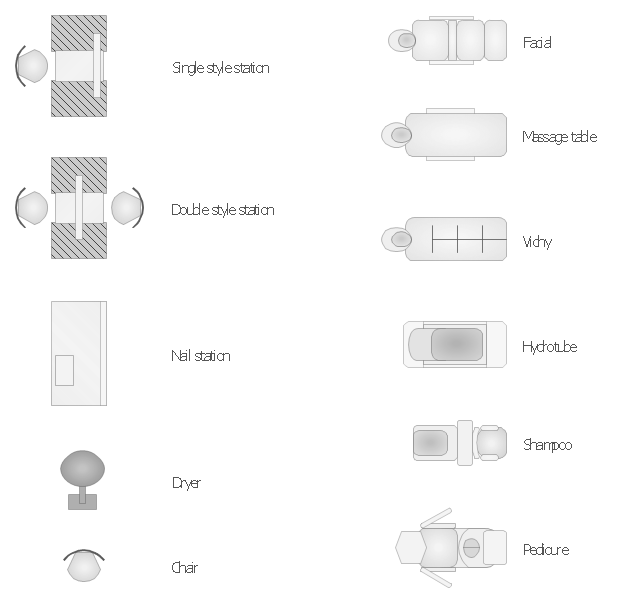 The vector stencils library "Spa" contains 11 symbols of day spa equipment. 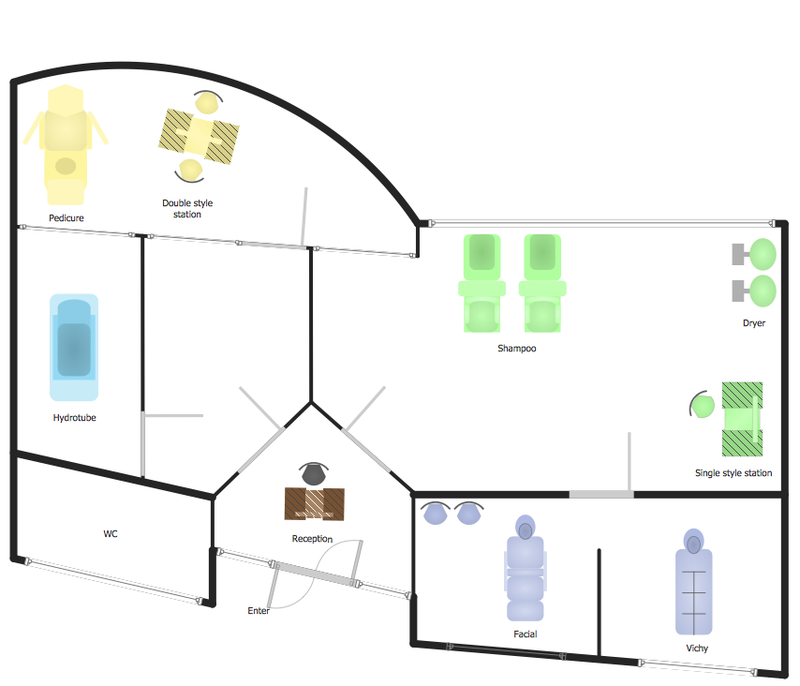 Use the shapes library "Spa" to design equipment layout floor plans of day spa, beauty salon and nail studio using ConceptDraw PRO diagramming and vector drawing software. 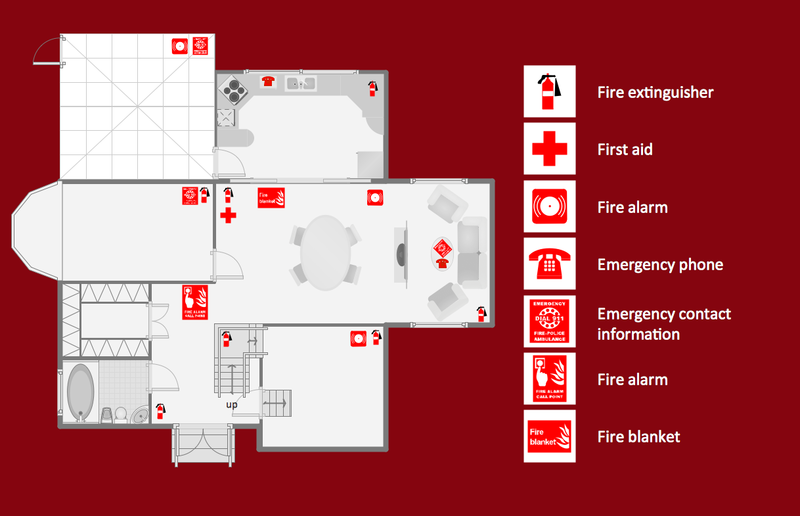 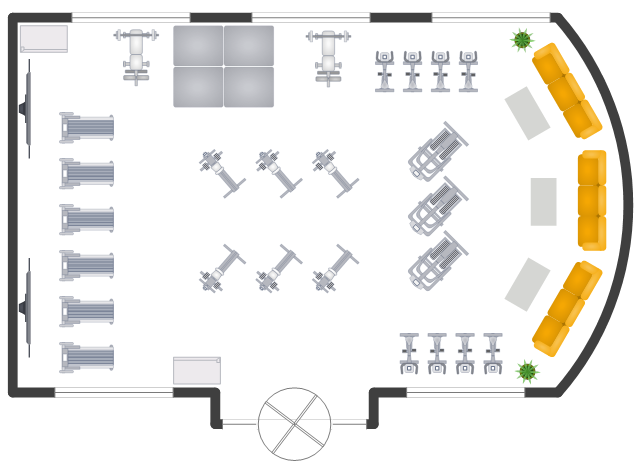 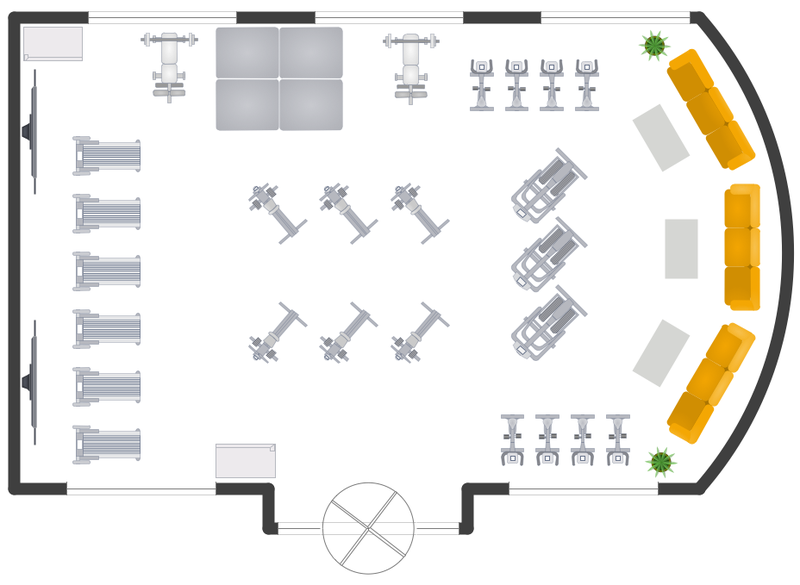 This interior design sample depicts the layout of equipment, furniture and appliances on the gym floor plan. 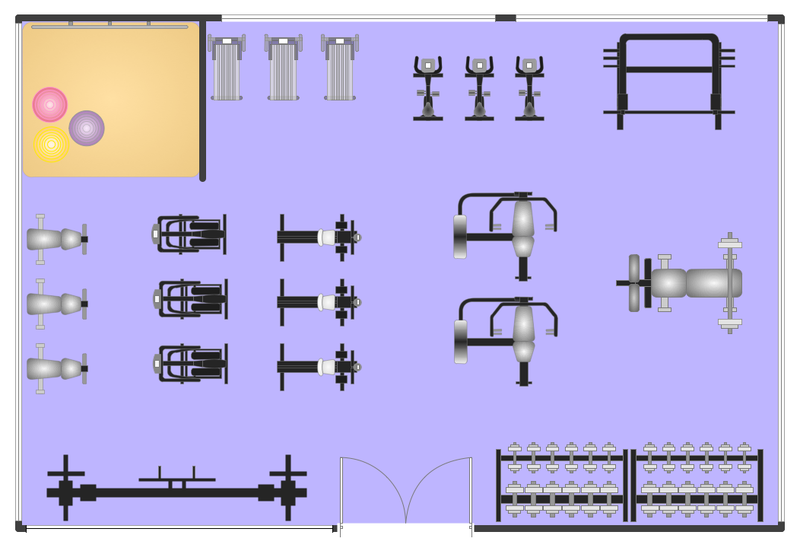 "Exercise equipment is any apparatus or device used during physical activity to enhance the strength or conditioning effects of that exercise by providing either fixed or adjustable amounts of resistance, or to otherwise enhance the experience or outcome of an exercise routine. 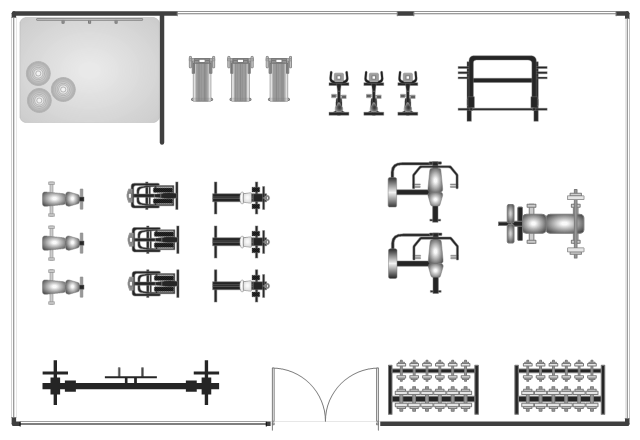 Exercise equipment may also include such items as proper footgear, gloves, hydration equipment, etc. 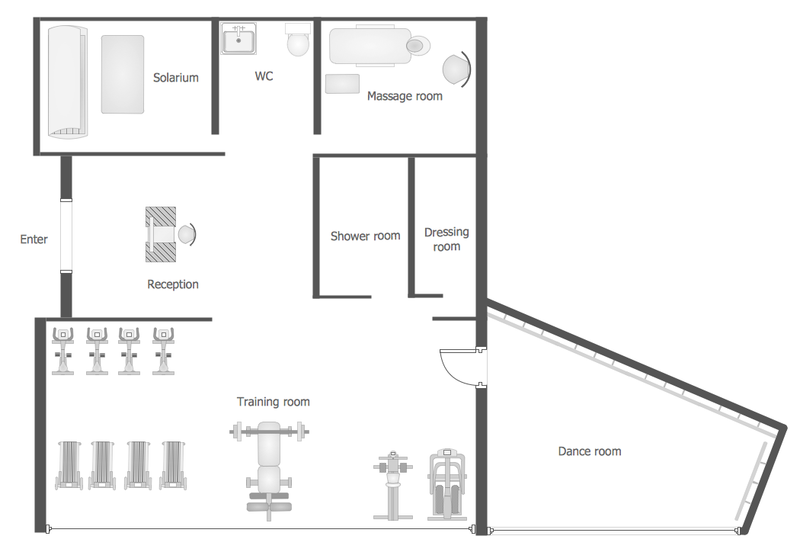 This interior design sample visualizes the layout of equipment and furniture on the destination spa floor plan. 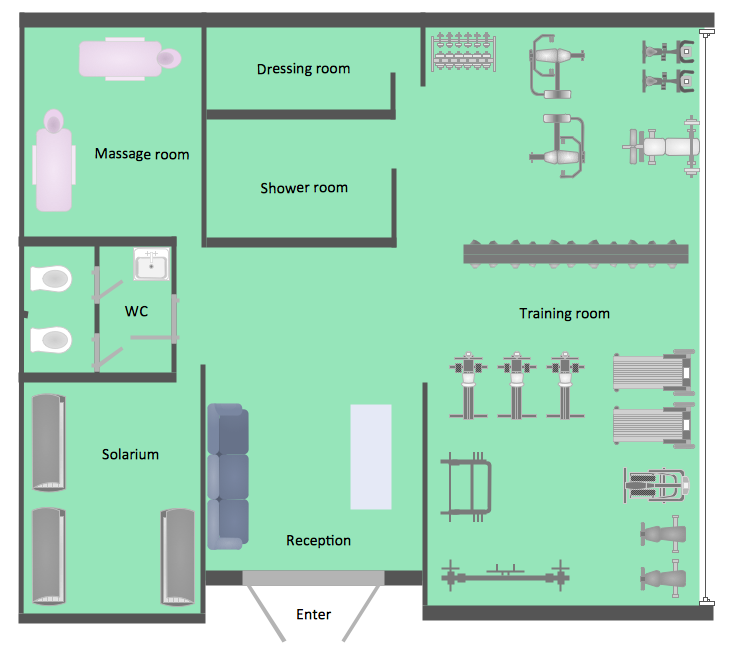 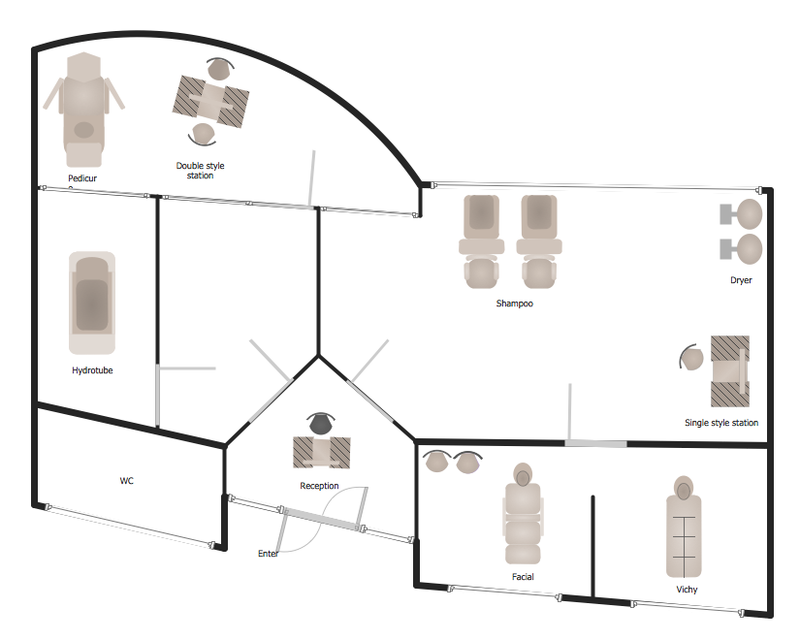 This interior design sample shows the layout of exercise equipment, furniture and appliances on the gym floor plan. 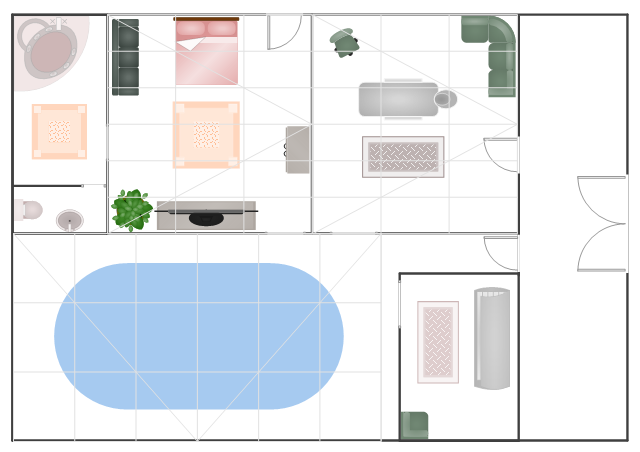 This interior design sample visualizes the layout of exercise equipment, furniture and appliances on the gym floor plan. 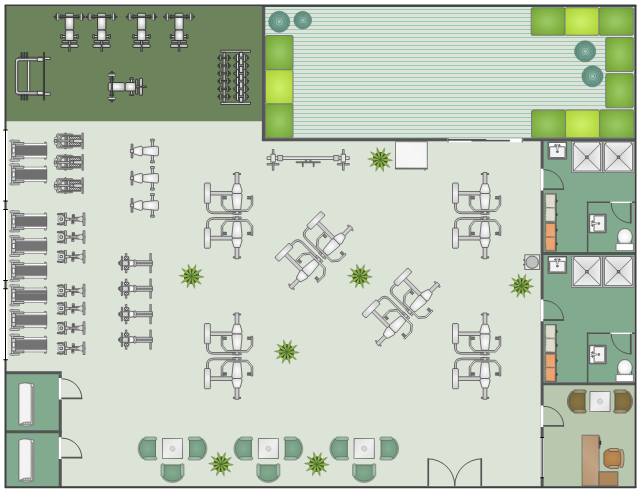 Most health clubs have a main workout area, which primarily consists of free weights including dumbbells, barbells and exercise machines. 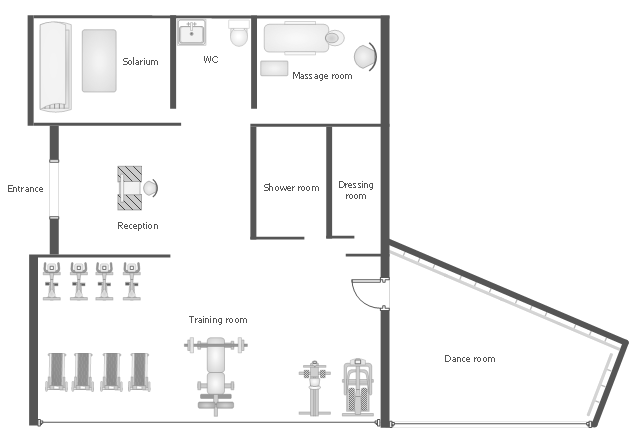 This area often includes mirrors so that exercisers can monitor and maintain correct posture during their workout.